Never face life's challenges alone. 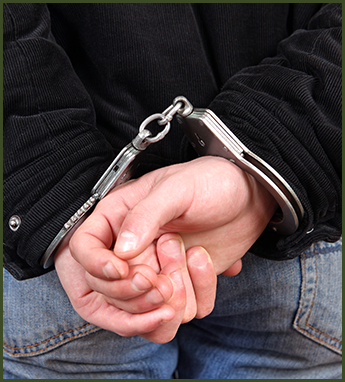 When your livelihood is in danger due to a DUI, criminal misdemeanor, or felony, the experienced defense attorneys at Gonzalez Law of Albuquerque, New Mexico, do everything possible to help. When you have been wronged, we are here to help set things right. Our attorneys meet with you and go over all of the evidence and defenses of your case. Our goal is to bring about success and justice for every client. Constitutionally, we are all innocent until proven guilty, and it is the State's burden to establish that case beyond a reasonable doubt. Our attorneys strive to make sure your constitutional rights are protected and were safeguarded throughout the process. With vast experience as a trial attorney, Justin Gonzalez is comfortable performing trial work as well as litigation. He and his legal professionals have worked thoroughly as both prosecutors and defense attorneys. At Gonzalez Law, we prepare your case with the utmost detail and precision every time. While no attorney can guarantee an outcome, taking the time to fully investigate the facts and laws related to a particular allegation helps ensure the best possible results.